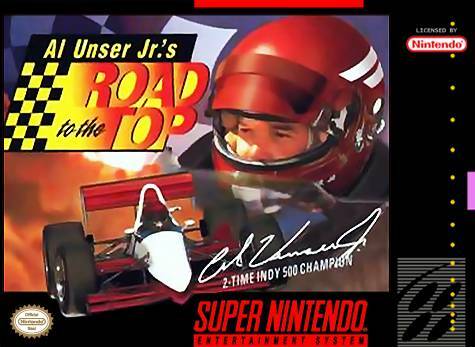 Al Unser Jr. Road to the Top for Super Nintendo has you strive to be a legendary indy car driver as you become the best and conquer Pike's Peak. There are four different vehicles to master if you want to reach the final showdown with Al himself. Play in go-karts, snowmobiles, IROC cars, and Indy cars. Master the four unique driving styles to get to the top. Don't forget to try and challenge a friend in intense split-screen action racing.